Budweiser is reimagining some of its historically sexist ads. 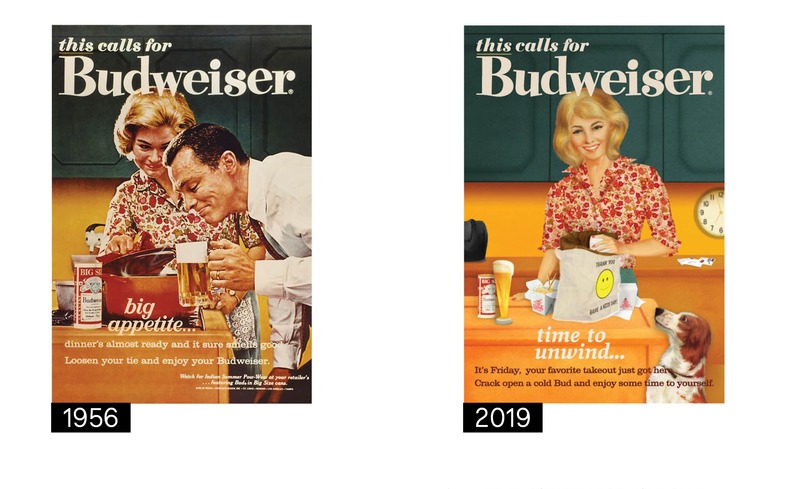 In honor of International Women’s Day, the masculine brand revisited three of their adverts from the ’50s and ’60s that they are not exactly proud of. This campaign officially kicks off Budweiser’s membership with #SeeHer, a movement to improve the positive portrayal of women in advertising. 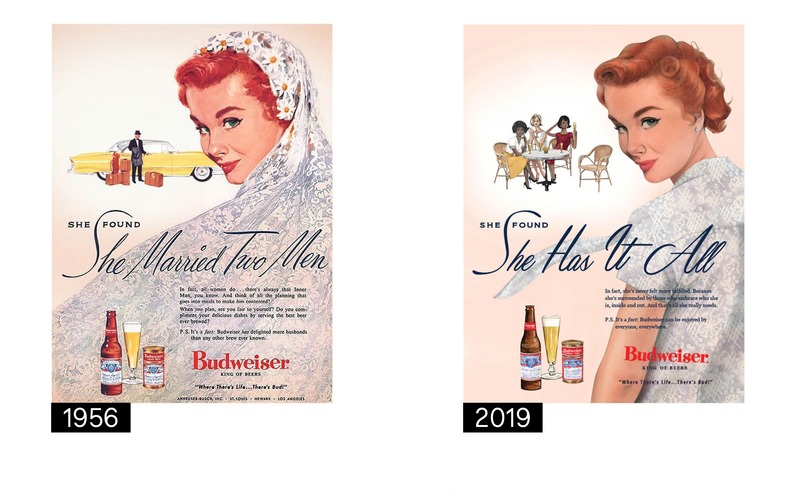 Bringing the partnership to life, Budweiser and #SeeHer remade three of the brand’s ads from the 1950s and 1960s, showcasing the women portrayed in the original ads with more balanced and empowered roles. Each ad speaks to a theme – independence, equality and fulfillment – and was created in collaboration with #SeeHer and three prominent women illustrators, Heather Landis, Nicole Evans and Dena Cooper. Budweiser worked closely to ensure the creative teams reimagining the ads were also equally representative of culture. VaynerMedia’s Chelsea Furlong and Jes Vallee helped lead the copy and creative of the ads.